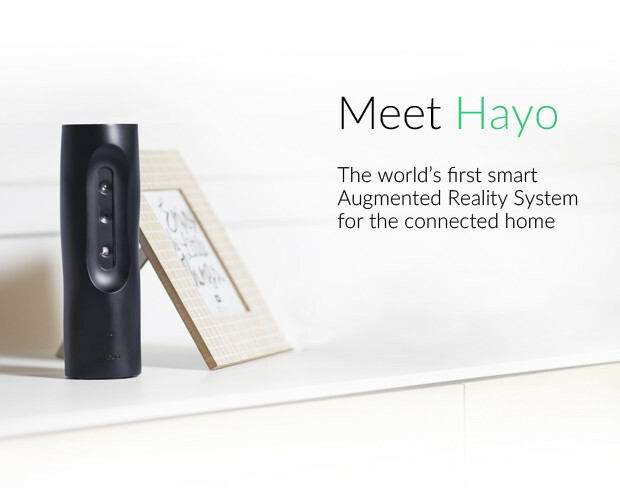 Augmented Reality is about to make an entrance in to your living room with Hayo. A gesture-controlled remote that in some ways works like a Google Home or an Amazon Echo. Turning on your TV with a snap, or dimming the lights with just a wave of your hand, play or pause a song with just a tap on your coffee table. This isn’t wizardry, this is augmented reality, brought to you by Hayo which is currently in its Indiegogo campaign. 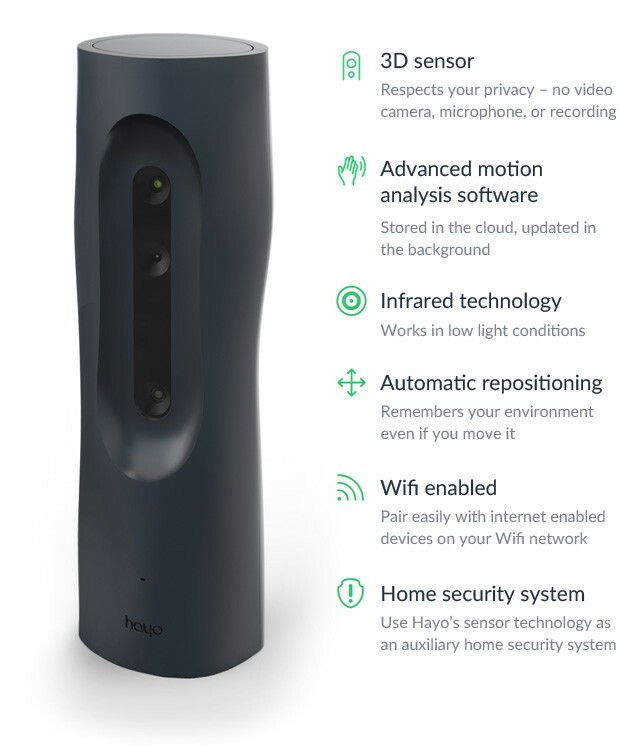 Hayo is a cylindrical device that uses multiple cameras to scan your room. It then allows you to create Virtual Remote Controls that trigger predefined actions. With Hayo, you can create commands with simple gestures like waving your hands in one direction, creating a loop with your hand, etc. to control your home’s smart devices. For example, waving your hand in a certain region of the room, could turn on your lights, or moving it up or down could brighten or dim your lights. Hayo brings gesture controls for your lighting, music, ambient sound, talking & texting, security & emergency protocols and last but not least, entertainment. Hayo creates a 3D map of your space and objects in that space and using the Hayo app, you’re able to create virtual remote controls for your connected devices. Putting your hand on your main door, for example, would turn off your lights as you exit your house. It is too soon to tell how seamless the operation would be or how detailed the gestures would need to be yet. Nonetheless, this is a great alternative to voice-controlled smart assistants like the Amazon Echo or the Google Home. Head over to Indiegogo to grab this amazing device at an early-bird price while showing your support.